July 9-13, 2018 Operation Opera: Let the Music Tell the Story! July 16-20, 2018 Operation Orchestra: Stories with Notes! Music can make stories come alive! We can sing alone or together, recite, chant, or use instruments. Sometimes we don’t even need words. Add staging, sets, or costumes and the story really jumps off the page! Put all of these things together and what do we get? Opera! 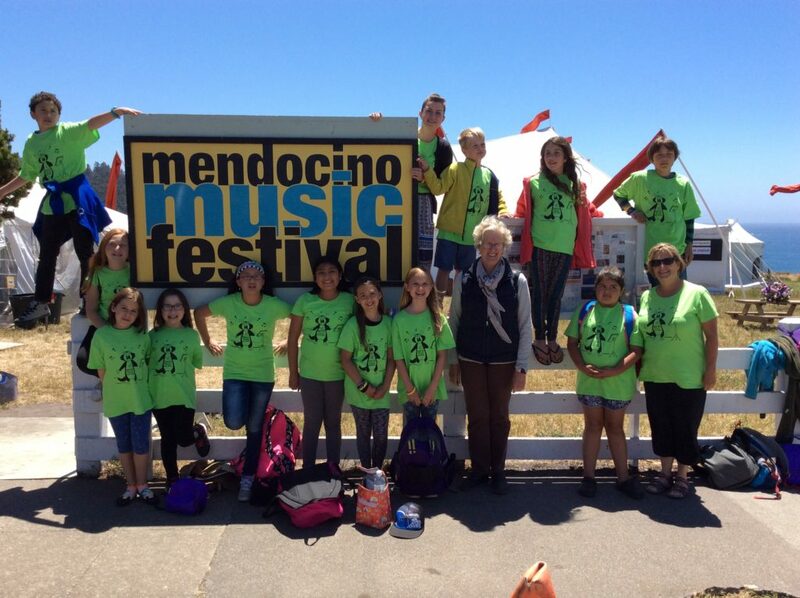 Join us this July 9-13, 2018 at the Mendocino Music Festival’s summer camp for kids for Operation Opera: Let the Music Tell the Story! We will travel through time learning how composers have set their favorite tales to music and how we can create our own. A highlight of the camp will be visiting the big Music Festival tent for an opera rehearsal. We will meet the singers, learn the story, and listen to how the orchestra “sets the scene.” Play a “part” in Operation Opera: Let the Music Tell the Story! this summer at the Community Center of Mendocino. Have you ever wondered what puts the “Too” in Tuba? How about the “zing” in the violin string? Join us this July 16-20 at the Mendocino Music Festival’s summer camp for kids Operation Orchestra: Stories with “Notes “ to find out these answers and more! Backstage tours at the big MMF tent, dress rehearsals, meet the conductor, and visits from orchestra members help bring the music alive. A highlight will be building instruments and creating our own Tin Can Orchestra. Be a member of this fun ensemble this summer at the Community Center of Mendocino. For children ages 8-12. Includes visits to Mendocino Music Festival rehearsals and guest appearances by musicians. Info at www.ccmendo.org or (707) 937-4133.